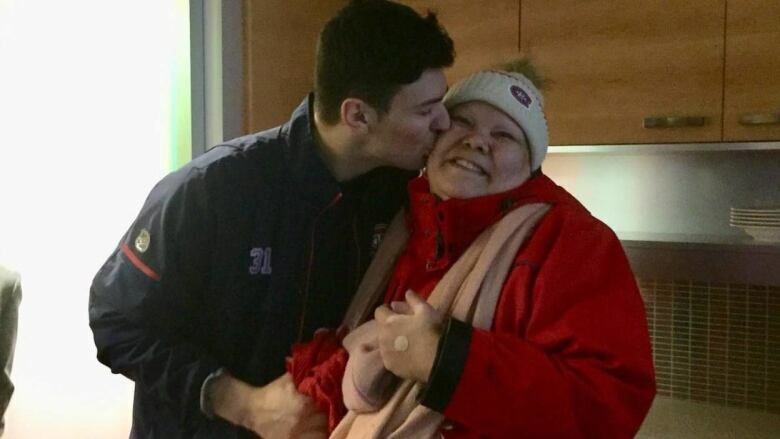 Nathalie Gabriel, currently living with breast cancer, burst into tears when she met the Habs goalie. When Nathalie Gabriel was diagnosed with breast cancer in June 2017, she knew she would have to leave her remote community to undergo chemotherapy treatments. 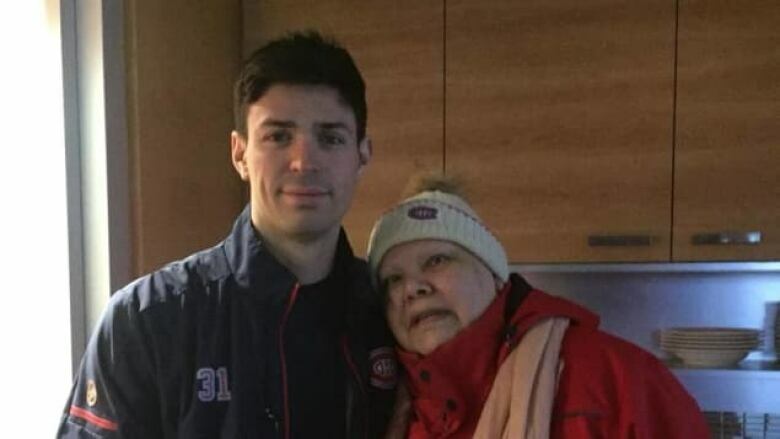 Gabriel, who is from the Innu community of Matimekush-Lac John on the North Shore, had been dreaming of meeting Montreal Canadiens goalie Carey Price. And with him in mind, she started working on a pair of custom snowshoes. "During my chemo, to keep me busy, I made crafts," she said. 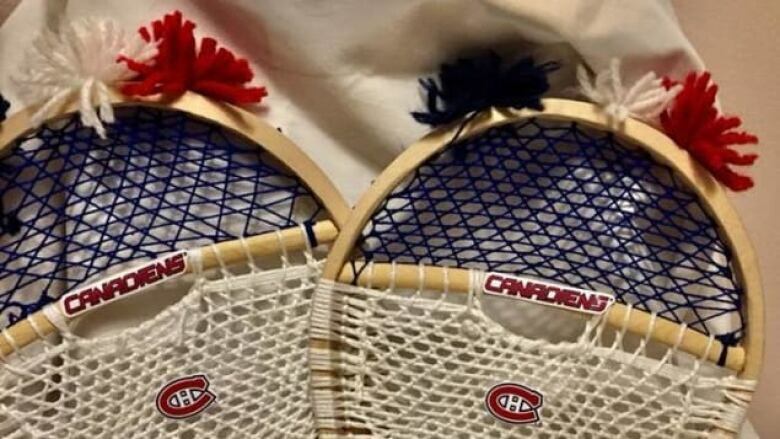 "I made snowshoes with the Habs colours and I told myself that I would give them to Carey Price." Gabriel went to the Bell Centre in Montreal three times, hoping to hand deliver the snowshoes to Price. The third time was the charm. "I moved heaven and earth to see him. I spoke to security agents who sent me to customer service," she said. "In the third period, they came to see me and told me that it was going to work out and that Carey had agreed." She said the moment he arrived, she was overcome. "He came and I couldn't speak to him. I was too emotional. I started crying and then Mr. Price came and held me tightly in his arms," said Gabriel. She says that Price is a role model for young people in her community, many of whom struggle with substance abuse. "I think that Carey Price is a source of hope for our young people to follow their dreams," she said. Gabriel is back in Matimekush for three weeks before she is set to resume treatment in Quebec City.